100 Christmas trivia questions. This festive quiz will test your knowledge on all things Christmas'y ! If you are a TV and film buff then this is a great party game for you. Perfect Stocking filler gift. Is Christmas your favourite time of year ? Do you know everything there is to know about this festive period? 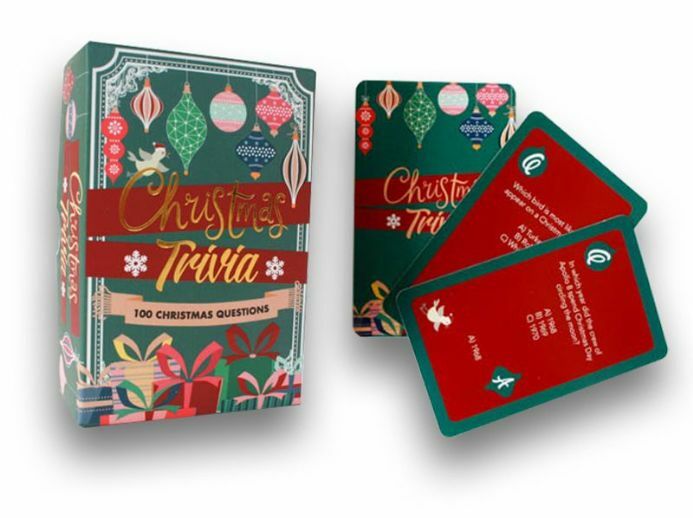 Put the Turkey down and take on this great Christmas trivia card game ! Fun for all the family, this is sure to test your holiday spirit with 100 diverse questions over a range of merry topics !